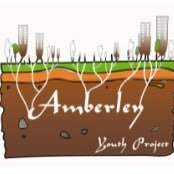 The Amberley Youth Project seeks to offer a high standard of youth service for young people in the Hammersmith and Fulham, Kensington and Chelsea and Westminster. The project aims to engage the young people with positive activities that will help them; develop their self-esteem, encourage healthy eating and fitness, improve employability, support them through challenging times and help them achieve their goals, and give them opportunities to voice their opinion and take responsibility. This is achieved through a wide range of interactions between well trained staff members and young people whilst involved in some of the following activities: Music Studio, Gym, Fitness, Photography, Cooking, Table tennis, Football, Competitions, Careers Advice, Construction Training, Drama Workshops, Talk Sessions, 121 support, Offsite Trips and Residentials. 8-19 year olds who live in Hammersmith and Fulham, Kensington and Chelsea and Westminster. How do you access this service? This service is categorised as a universal service, which means that it is available to all children that live within the Hammersmith & Fulham, Kensington and Chelsea and Westminster. To access this service a parent/guardian and/ or child should visit the Amberley Youth Project (details below). If the child is under 16 the parent/guardian must then complete the consent form to allow their child to continue to access this service. If the child is 16 or over, they can complete the consent form for themselves. How do we ensure the quality of this service? The Amberley Youth Project has its outcomes evaluated by Westminster Council to make sure it complies with the objectives set by the Council. The Amberley Youth Project received the Gold Quality Youth Kite Mark from London Youth (May 2014) which accredits the high quality of the youth services provided by The Amberley. The Amberley Youth Project is managed by Working with Men (Registered Charity No: 1102451).